It is hard to believe 35 years ago today, I was so very lucky to see Princess Diana and Prince Charles on a school trip to Ottawa that just happened to coincide with their first visit to Canada. While a few decades have passed, I still remember that day. It was very hot and humid and I remember being dressed in pink top and skirt. Forever a girly girl. I remember the waiting and the moment when a few school friends and I finally saw Princess Diana in her limousine en route to Rideau Hall. Sadly the photograph wasn’t the best quality but my memory of that day remains alive and well. Princess Diana – you are forever missed. Author FinnSpiritPosted on April 16, 2018 Categories CommunityTags Community, Giving Back, Legacy, Making A Difference, National Volunteer Week, Voluntarism, VolunteerLeave a comment on Happy National Volunteer Week! It is hard to believe twenty years have passed since the news of Princess Diana’s death. I grew up with Princess Diana from the moment the press found out she was dating Prince Charles. I still remember waking in the wee hours of July 29, 1981 on summer holidays in Sudbury to watch the Royal Wedding and essentially fell in love with everything British and Royal. How incredibly lucky I would be that I was in Ottawa on a school trip when Charles and Diana would make their first trip to Canada in 1983. I waited on a hot and humid June day with a few public school friends and likely a teacher given our young age to just get a glimpse of Princess Diana from her car as it entered the Rideau Hall Gates. It was a dream come true. 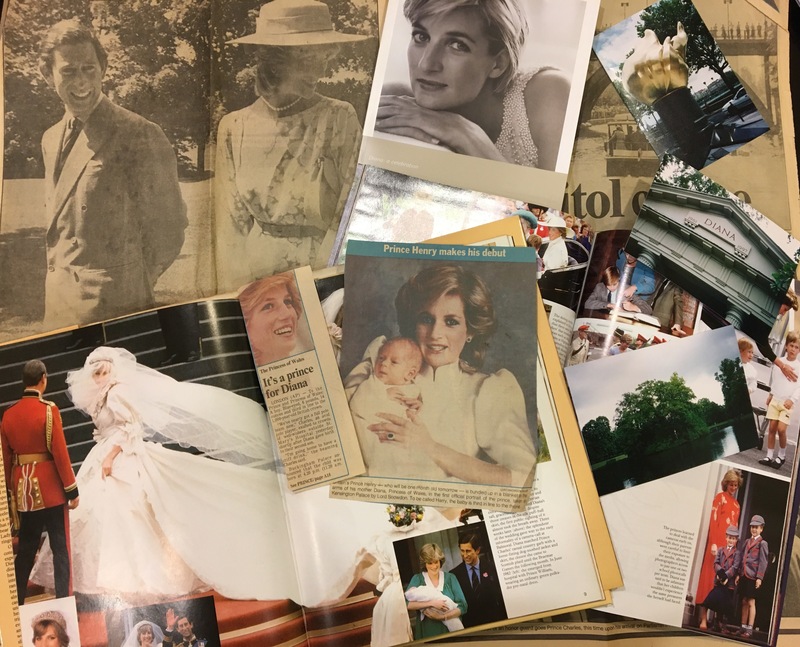 I followed Princess Diana in the newspapers, magazines and television. I loved her style and elegance but more importantly I was inspired about how she made it her mission to help others, advocate and shed light to causes that were not considered glamorous. Diana had this warmth which was evident in her interactions with others. In June 1997, my university friend and a fellow Princess Diana fan and I planned a trip to London. The trip was originally planned for around the time of Princess Diana’s death but at some point we decided to moved it up to June. What a different trip it would have been from the one we experienced. I was up north in cottage country when I heard the news of Princess Diana with one fuzzy television channel and a radio. As the days passed, I would watch the coverage from London and once again woke in the wee hours of September 6, 1997 to say goodbye to the People’s Princess. Since the world lost Princess Diana, I have been lucky to see her dresses twice in Toronto, travel to her resting place Althorp with my mother on her birthday in 2002 and then onto Paris to where she lost her life that fateful day. I hope to travel to London to see the Diana: Her Fashion Story at Kensington Palace before it closes in early 2018. In a world that celebrates and worships all things celebrity, it is Princess Diana who continues to inspire me. Princess Diana embodied love, kindness, compassion and inclusion. I aim to embrace these values as I go about my own travels on this earth. I love seeing her boys William and Harry along with Catherine carry on her legacy and continue to champion causes that were important to her while also charting their own course of what is important to them. Diana would be so incredibly proud. As a life-long volunteer, they all inspire me to continue to contribute to my own community and helping others.